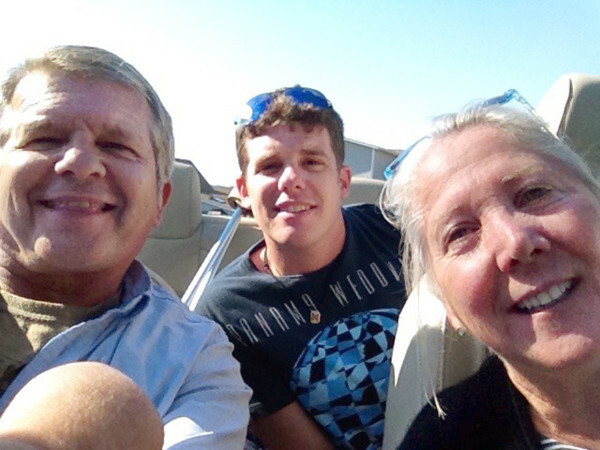 A September 2014 photo shows David Paul McCarthy, 29, out for a drive through Bar Harbor with his father, Kevin McCarthy, and stepmother, Nancy McCarthy. A month later, on Oct. 17, David died of a heroin overdose. A view of Casco Bay opens from the Town Landing in Falmouth, Maine. 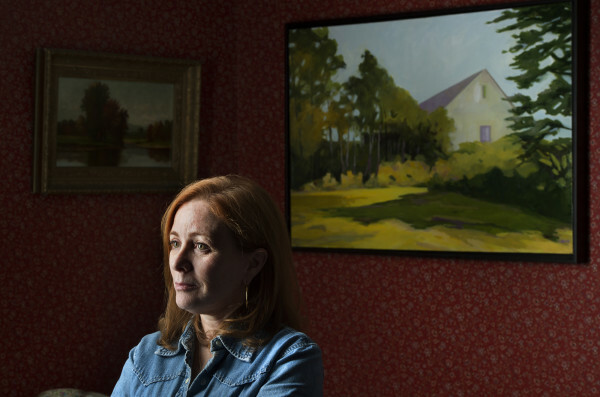 Anne Ireland is an artist in West Bath who lost her son David McCarthy to a heroin overdose. 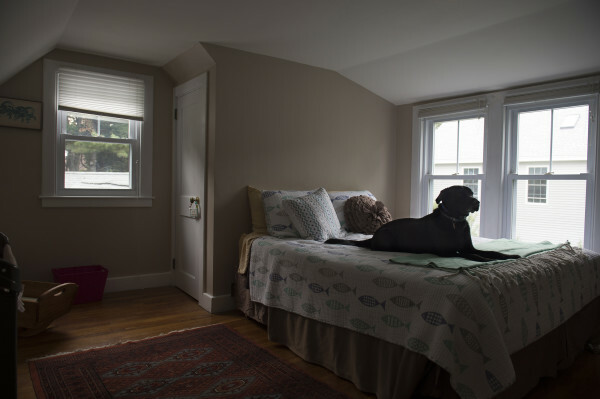 David McCarthy's black Lab, Kima, named for the drug-fighting detective in "The Wire," sits on the bed in the room where her owner died of a heroin overdose in Falmouth. 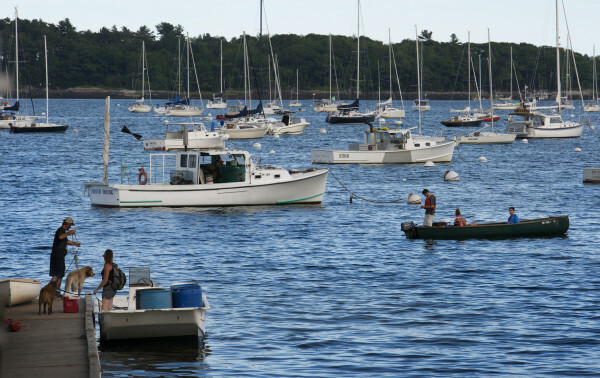 FALMOUTH, Maine — Everything finally seemed back on track. David was home for a short visit and looked happy, calm. He had a job, a girlfriend, a plan. His father, Kevin McCarthy, came home from work that Thursday and smiled to see his son take his dog, Kima, named for the drug-fighting detective on “The Wire,” out for a long walk. When David returned an hour later, they watched the end of the game together. The Patriots won, barely. Kevin went to work the next morning, and he returned home at 4:30 Friday afternoon. It was to be David’s last night at home before he drove up to Sugarloaf Mountain to spend the winter at the family’s ski place, working in a restaurant, his passion. Maine is at the burning core of a nationwide heroin epidemic, the perverse outcome of a well-intentioned drive to save Americans from the last drug craze, a widespread hunger for heroin’s chemical cousin, prescription opiate pills such as OxyContin. The woman was the love of David’s life in high school, said his mother, Anne Ireland. The woman, who is not identified here because she has not been charged with a crime, was anguished by David’s death. “I’ve been here in my bed since last Saturday,” she wrote a week after the overdose. “It’s safe here and I can cry as much as I want and re-read letters” from David. The woman has lived in a succession of subsidized apartments; there’s no sign of big profits from her drug sales. Police and prosecutors say that’s not unusual: The heroin trade bears little resemblance to the streetcorner traffic associated with crack or PCP. The switch to heroin happened because their regular Oxy supplier had run short. After a decade of widespread overprescription of opiates such as OxyContin, Percocet and Vicodin, the federal government pressed pharmaceutical makers to reformulate pills to make them difficult to snort, and it required physicians to prescribe fewer of the habit-forming pills. After OxyContin was reformulated in 2010, street availability of the pills tightened; prices shot up. Four years ago, hooked and broke from spending his restaurant salary on drugs, David called his mother and told her he had no place to live. He and his old high school girlfriend had broken up. Would Ireland take him in? Mother and son hadn’t lived together for nearly a decade. She brought him home. David wore his hoodie up when he was around his mother. He looked gaunt, worn. “He was this spectral presence,” she said. She took his salary and put him on an allowance. She thought he had been spending his money on pot. He stole from her, nearly $1,000 that she had hidden where she kept her best jewelry. John had long urged David to get help. By last summer, his parents said, David seemed to have found his way forward. He looked better, clean-shaven. He was running 6 miles a day. The stuff was heroin cut with fentanyl, an opiate that in its legal, prescription form is used to treat post-surgery pain. 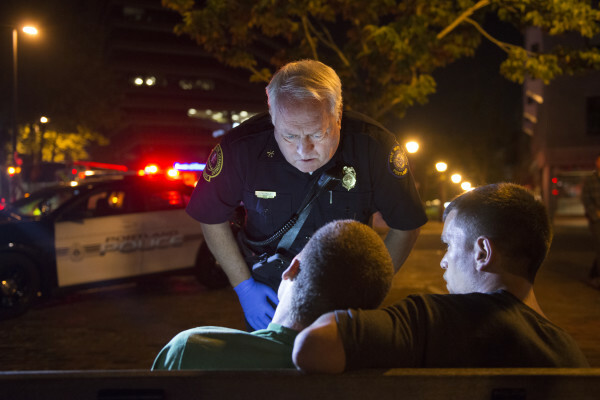 When addicts unwittingly ingest heroin laced with fentanyl, they consume a vastly more intense dose than they had anticipated. Heroin used to reach Maine in single-dose “tickets”; now, the drug primarily arrives in “fingers,” 10-gram plastic-wrapped cylinders that are “cut,” or diluted, locally.